It's Photo Flashback Friday! 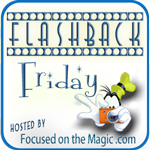 Time to once again enter the Wayback Machine and have another look at our old Disney photos. Today's flashback photos may be familiar to you. I've posted them before. Sorry, but I really enjoy looking at them. They bring back many happy memories from the late 1980's & 90's. As you can see they are scans of matte finished pictures. The matte finish gives them a vintage look. Come to think of it, they are vintage! 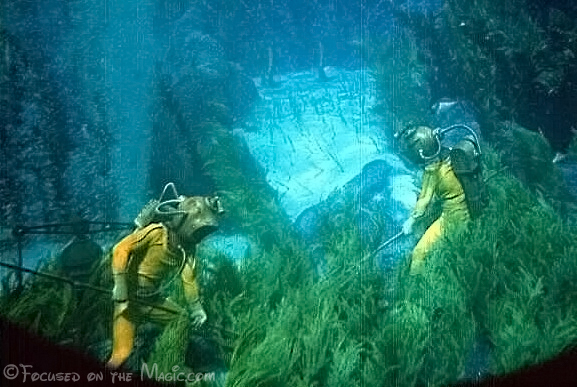 Sail with Captain Nemo on a submarine voyage aboard the "Nautilus" and explore lost undersea worlds. 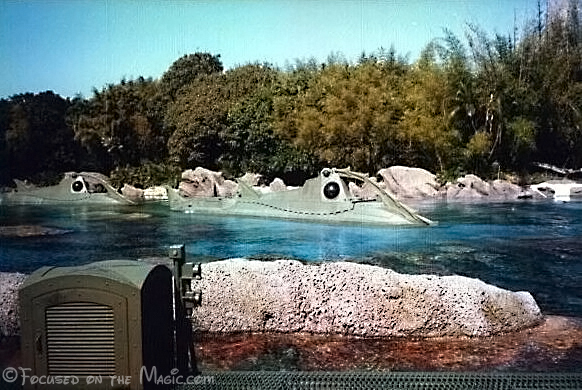 The submarine ride 20,000 Leagues Under The Sea was located in Fantasyland in The Magic Kingdom. It was later re-imagineered into Ariel's Grotto as a Meet & Greet area. I really enjoyed this ride even if it was cramped and the line waiting to board was long. It was always worth the wait. There were no characters or animatronics involved but a lot of imaginearing.